There are two main groups, or genus, of cacti that grow in Canada. Coryphantha (also known as Escobaria) has one native species. It is round with one or a few showy flowers growing on its top. 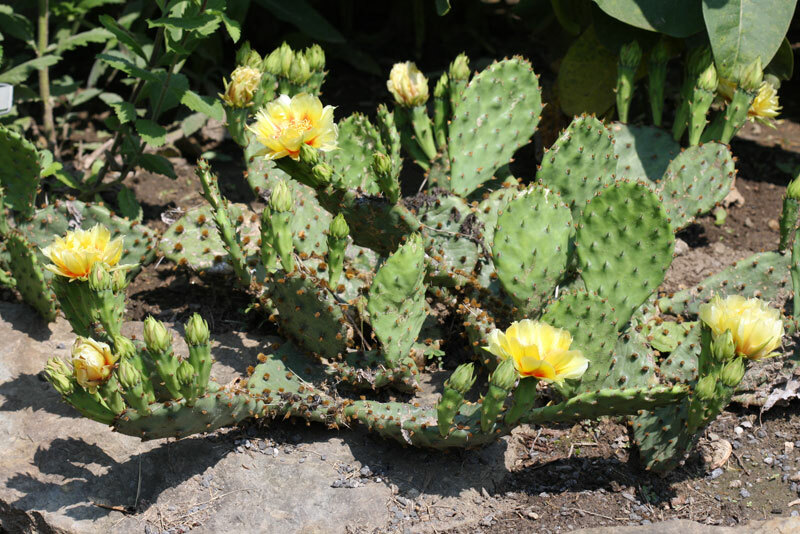 Opuntia, the other group of cacti in Canada, has three native species all of which have flattened oval pads that branch off from one another, and flowers growing at their tips. Habitat: These plants naturally grow in dry, sandy and rocky places such as hillsides and prairies. Grow them at home in well-drained sandy or gravelly soils in full sunlight. 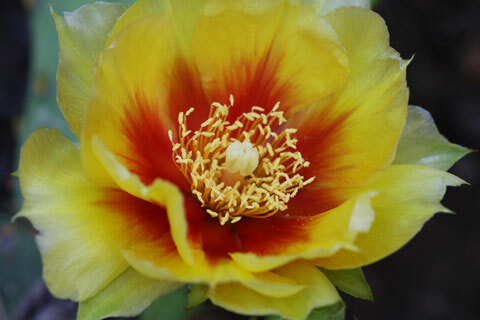 All of Canada’s cacti are beneficial in providing pollen for bees. The thought of a cactus might conjure up images of a desert in Mexico or perhaps a houseplant on a windowsill. But Canada has its own cacti that are both beautiful and suitable for many Canadian gardens. Until I began working at the Canadian Wildlife Federation and its demonstration gardens, the idea of native cacti never entered my head. Then one day a colleague excitedly told me that our cactus was flowering! Just as I was new to the organization, the eastern prickly pear cactus was new to the gardens — and it was blooming for the first time. Its showy yellow flowers impressed me, as did its ability to withstand our Ottawa winter. Opuntia fruit has been used as a food source for centuries. Once the skin is peeled to remove any small spines, it can be used as a snack, as well as in drinks and jellies. 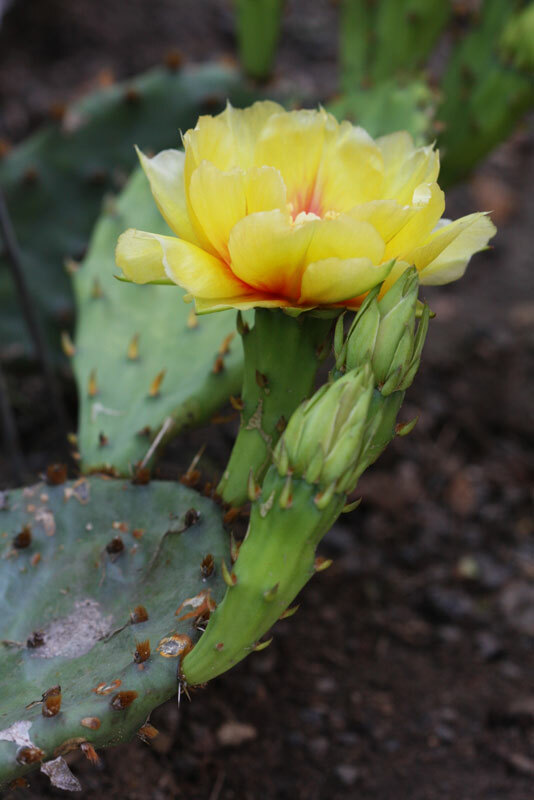 The liquid in Opuntia is a gelatinous juice that has served as emergency drinking water; the stored water within the plant is accessed by peeling away the tough outer layers. Medicinally, this liquid has been known to speed the healing of wounds when it is applied to bandages. And according to Peterson Field Guides, ground up Opuntia humifusa seeds can be used as a flour or soup thickener. Opuntia pads root quite easily. Break one off at a joint and let it dry for a week or so before burying the severed side well into the ground. Coryphantha vivipara produces new buds that fall off and produce new plants. These plants naturally grow in dry, sandy and rocky places such as hillsides and prairies. Grow them at home in well-drained sandy or gravelly soils in full sunlight. Name: Some call this species Escobaria vivipara var. vivipara. Native to: southern Alta., southern Sask. and southwestern Man. Appearance: It is a small round cactus with groups of spines that radiate outward from a central point. Its flowers range from pale pink to magenta with many petals that are pointed at the tips. The flowers grow on the top of the plant. Name: This used to be called Opuntia compressa. Native to: southern tip of Ontario. Currently listed as “Endangered” on the Government of Canada’s Species at Risk Public Registry. Appearance: It has oval pads that are flat. Its spines grow where the new buds meet the old leaf/stem pad. Its yellow flowers are large with rounded petals. It does not have many spines. Native to: much of B.C., Alta., Sask., southern Man. and western Ont. Appearance: It is similar to O. humifusa, but its pads are plumper and it has more spines. Its pads come off more easily than those of the other Opuntias. Native to: southern Alta. and southern Sask. Reports are conflicting about its presence in B.C., where it may be native to the dry interior. Appearance: It is similar to O. humifusa, but it has so many spines that it may appear whitish from a distance.